The answers to questions we're most often asked are here. If you still can't find what you're looking for, please contact us for further assistance. Why should I join Holdfast? Joining Holdfast Credit Union means you have easy access to regular savings, with the opportunity to have low cost loans. Friendly and confidential advice is always available to all members. How will Holdfast help me? Holdfast can help you save for a ‘rainy day’. Members save for e.g. holidays, car insurance, MOT costs, a new washing machine, prom outfit and special events such as a 21st birthday. Anything where you need your savings to be safe and you won’t be tempted to ‘dip into’ them. What about a Holdfast loan? Saving regularly means you will be eligible for a loan. The amount available to you will depend upon your savings and repayments will be tailored to each individual member. You decide how much you can afford to pay each week or month, it is up to you. There are no penalties if you pay off your loan early. You must be over 18 to borrow You only pay interest on the reducing balance of the loan, not the whole amount like many other lenders. Is my money safe with Holdfast? Holdfast Credit Union Limited is authorised by the Prudential Regulation Authority (PRA) and regulated by the Financial Conduct Authority (FCA) and the Prudential Regulation Authority. 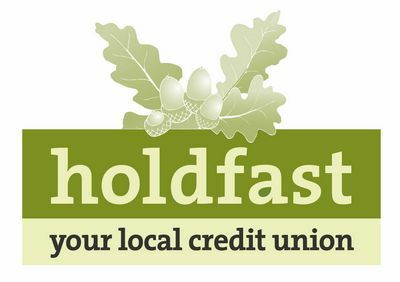 Holdfast is also a member of the Association of British Credit Unions limited (ABCUL). Our youngest member was brought into the office to join when he was 3 days old. Our oldest member is almost 100 yrs old. How can I join Holdfast? Come in and see us at any of our collection points, fill in an application form and decide how you want to start saving for the future. All new members must provide us with 2 forms of identification: one to show your address and one to show your identity. Lodgers, bankrupts and people who have recently moved may not be able to provide some of these documents but that is not a problem, just talk to us and we may be able to help you.